The <link> tag make a link between a document and an external resource. 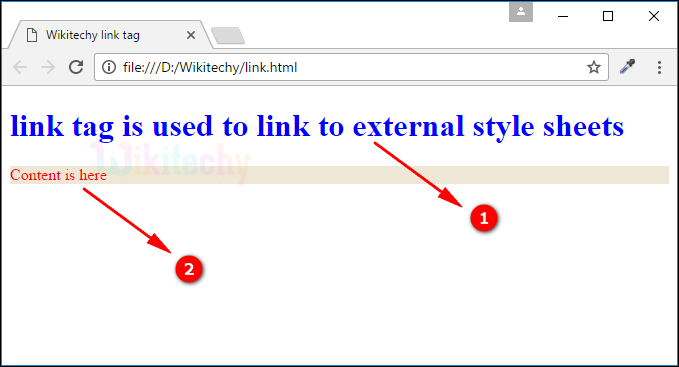 External style sheets are linked by <link> tag. The <link> tag supports Global Attributes and Event Attributes. <link>element belongs to Metadata content category. The <link> tag is not supported. The “sizes” attribute is new in HTML5. <link> tag used to link an external resource document. “rel” attribute used to define the relationship between the documents. "href” used to location of the linked document. h1 block used to set color and border for the <h1> tag. p block used to set color, background color and border for the <p> tag. <h1> contents are displayed in blue color. <p> contents are displayed in red color with background-color. 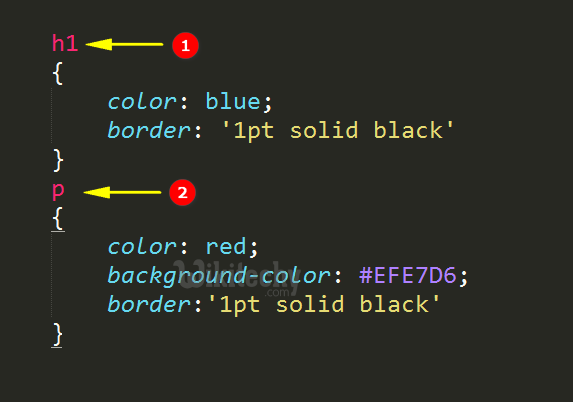 Paragraph tag is specified in red colour as the content displays red in the output. any No Yes Specifies the size of the linked resource. Only for rel="icon"